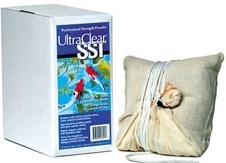 For Maximum pond clarity and to help balance the pond ecosstem. Contains enzymes, barley straw, humates and peat (for buffering). Sequesters in-organic compounds and buffers pH of pond water. 100% natural. 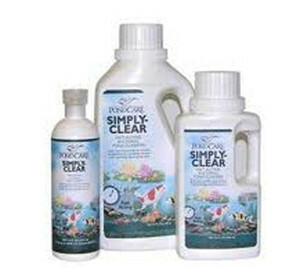 1oz for every 250 gallons (treat for four weeks) Thereafter treat 1oz twice monthly. Apply directly to pond surface. See our other barley straw products and other pond water treatment products. 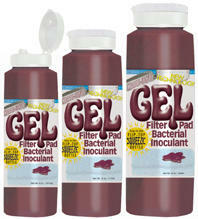 Proprietary "HIGH COUNT" formulation for larger rural lakes and ponds. 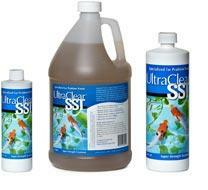 100% natural, safe and beneficial bacteria that breaks down algae, reduces ammonia and nitrogen levels. 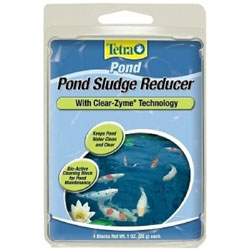 Specifically formuated for large ponds, lakes and lagoons. 1 gal or 5 gallon container. Click "view details" for additional discounts and more information. 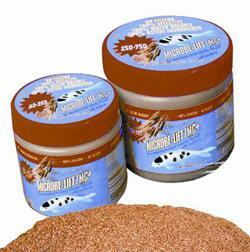 See our other barley straw products and other pond water treatment products.